BFM is a family-owned and -run company specialised in the engineering and production of agricultural machinery for vineyards, olive groves and orchard farming, with special expertise in solutions for hilly terrains. Our sense of pride in running a business steeped in tradition combined with the innovative spirit that we bring to all our projects underpins the ability of BFM to tailor solutions to the specific needs of its customers, offering them quality-guaranteed products, first rate service, and competitive prices. BFM assures shipment of spare parts throughout Italy and the world through the services of only the best logistics providers. The BFM range includes automated machines and accessory equipment designed for all types of terrain, for clearing, mowing and other farm activities performed in orchards and among row crops. BFM guarantees the quality of its machines through ongoing research and the development of new solutions. Upgrading machines can take months of analysis and testing, which is why our Company constantly invests in innovation through the study of improvements to existing models and the creation of new machines. 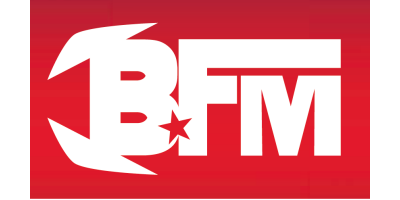 Beyond Italy, BFM distributes throughout Europe, the United States, South America and the Middle East. Besides parts for its own branded models, BFM supplies spare parts for Baiano tilling machines from any date. BFM agricultural machines are the outcome of a long, ever-present process of technological and engineering research & development. Besides the machines and accessories featured in our catalogue, BFM also develops custom models, designed and tailored to meet the needs of customers. All our machines are designed, engineered and manufactured in-house by the Company. Each and every machine is produced and assembled manually by our technicians, who then test the products to guarantee the highest quality standards. In particular, all our mechanical transmission machines (B1, B2, B3, DB12 and AB6) are specially designed to work for lengthy periods of use without overheating the hydraulic pump, saving significant amounts of working time. All BFM machines satisfy the essential health and safety requirements set forth by Directive 89/392/EEC and amendments thereto.